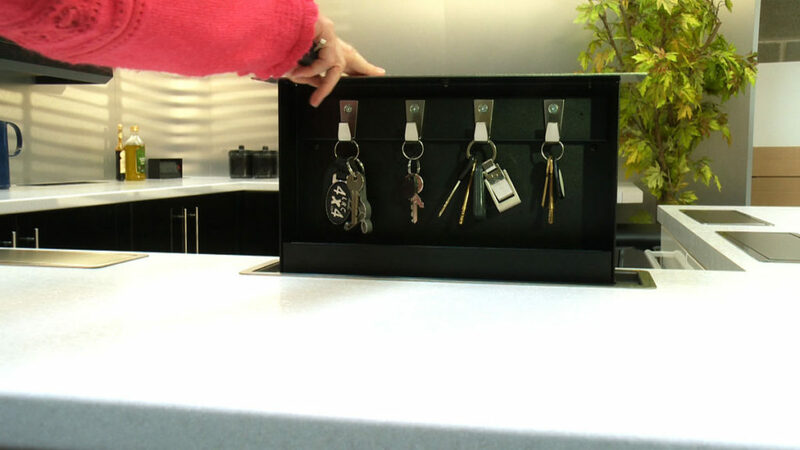 S-Box™ Pop Up Key Box - 4 convenient hooks so that keys can be securely hidden away from view. 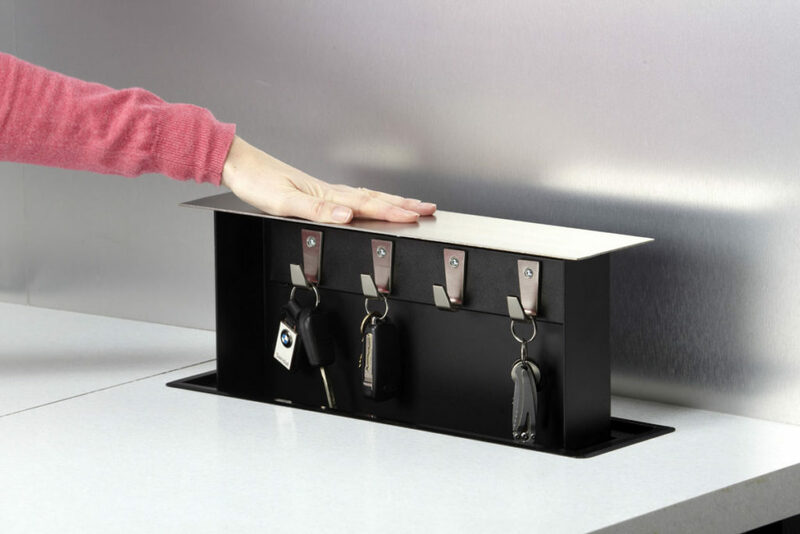 The S-Box™ Pop Up Key Box has solid steel construction. Black polyester coating. Stainless steel hooks. 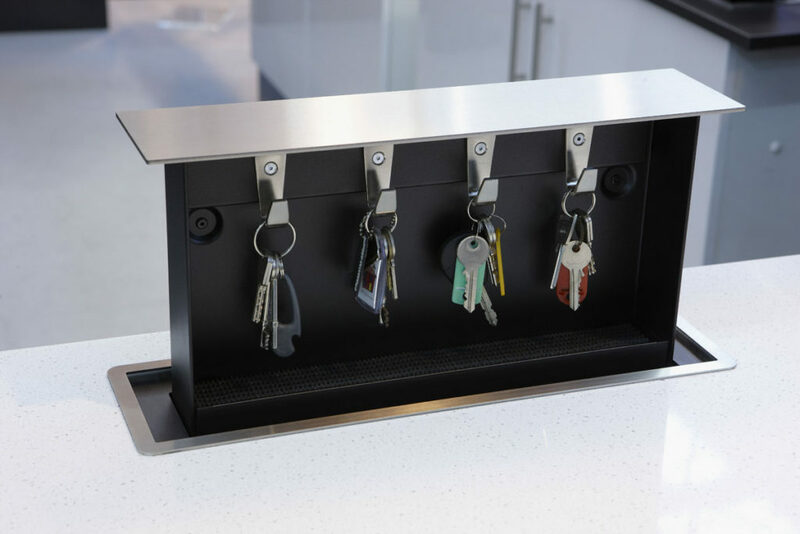 The Key Box presents a row of 4 convenient hooks so that keys can be securely hidden away from view but are also instantly available when needed. Perfect solution for any home where those special keys always seem to be missing! 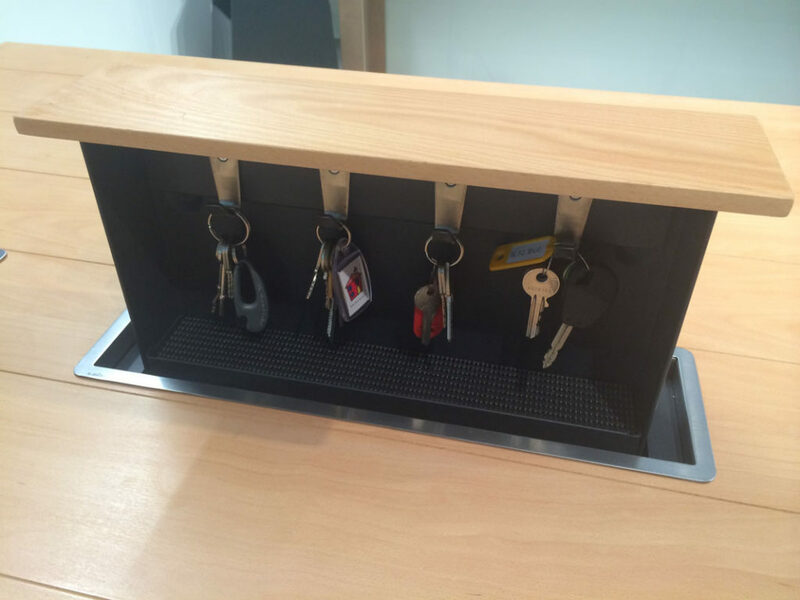 This unit is a great anti-theft device too, by keeping car keys off the counter and out of sight to thieves. A lower shelf below the hooks enables other small items to be stored. This shelf features a washable rubber grip mat.